The magazine received 135 nominations; then polled readers for its final results. There are five categories in total, with five honorees in each. Craft was voted into the “Young Influencers” category. “I knew I had been nominated, but there were quite a few nominations in the category. I actually found out the day of… I learned from a friend who posted it on Facebook,” said Craft. “I was pretty excited, but very surprised,” she said. Craft is being honored for her work in “Anishinaabe and Canadian Aboriginal law,” writes the magazine. She specializes in Treaty and Aboriginal Rights, as well as Environmental and Regulatory Law. Her lifelong interest in law saw her pursue an undergraduate degree at the University of Manitoba, and a law degree at the University of Ottawa, then graduate studies in law at the University of Victoria. “I’ve always wanted to, since I was a child. I think I have a strong sense of inherent justice. People have asked ‘Were there other lawyers and judges in our family…’ Well not in our immediate circle, but distant on my father’s side,” she said, adding that a book she stumbled upon a few years ago helped enlighten her further on the topic. “The book was a published oral history from my great-grandfather. I didn’t realize his father was looked at as an adjudicator for a long time. He was seen as the person to resolve disputes and make fair decisions,” she said. She also attributes some of her passion for justice to her Metis side. Craft is a descendent of Louis Riel, who was instrumental in the creation of the Province of Manitoba and later hanged for treason against the Queen of England (and her Canadian-English representatives). “Obviously Riel was an advocate for Metis rights. So it’s interesting in terms of the tie to family and genealogy, and in being well-suited to this type of path through family traits,” said Craft. One of the highlights of Craft’s career has been the guidelines she helped create and establish for dealing with Aboriginal Elders and oral histories in the courtroom. This came to fruition in 2010, and without this valuable work, the western justice system would still omit the perspectives of Elders, and overlook what they can bring to a trial. “We actually brought the federal court into the Sagkneeg Turtle Lodge and the court ended up acknowledging that in the past we’d worked on the basis of common-law, but we are really a multi-law country… And Indigenous law has a place,” said Craft. 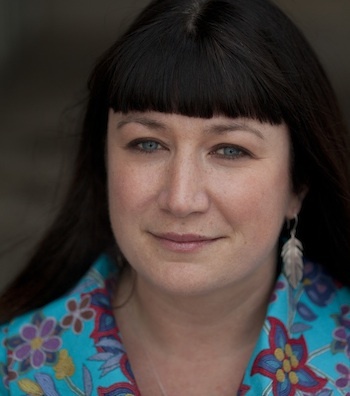 Her latest projects include being the Director of Research for the National Research Centre for Truth and Reconciliation, as well as spear-heading a project around Indigenous (Anishinaabe) law in relation to water. Both of these keep her busy, though she still manages to maintain her teaching position at the U of M.
“I really like it all. My two favorite things are working with students, and working with Elders. I appreciate the energy students bring and their inquisitive perspective. And I enjoy seeing students work with Elders, and helping Elders communicate their message,” said Craft. “I think I’m really honored to be recognized, but for me it’s about the responsibility that comes with that and the people that I work for,” she said.